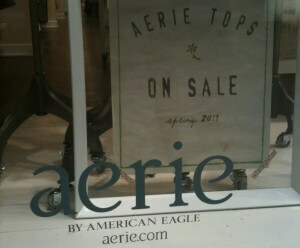 When I wrote this post about the word aerie, little did I know that Aerie was a store you could find in the mall! (I found one on a trip to Boston). An aerie, of course, is “the nest of a bird of prey, as an eagle or a hawk” — or, metaphorically speaking, “a house, fortress, or the like, located high on a hill or mountain.” Aerie can also be spelled aery, eyrie, or eyry. This week’s meme has been a fatuous music video by previously unknown thirteen year old Rebecca Black. The video, “Friday,” has been called “the worst song ever written.” See for yourself! A lot of the insipidity or fatuity of the song has to do with the fact that the lyrics are so very mundane (or pedestrian). You have to have cereal before you go to the bus stop? Really? Is picking a seat in the car totally blowing your mind? Really? She tells us the days of the week? In chronological order? (Well, better than alphabetical order, I guess). PopEater recently ran this post about Charlie Sheen’s very public meltdown. Notice the word turpitude. Turpitude means depravity, baseness of character, or corrupt or depraved acts. It is often used in the phrase moral turpitude, a legal term that describes depraved behavior. Worried about her grandson’s turpitude “ as evinced by his constant detentions and a three-day stay in a juvenile jail “ Mrs. Worthington offered to pay for military school. It’s hard to fathom the kind of turpitude required to make a movie that could get banned in modern-day Europe! When I read the screenplay, I nearly threw up. …and, of course, depraved, meaning morally bad, corrupt, or perverted. Do you spot the problem? Turpitude is a bad thing. 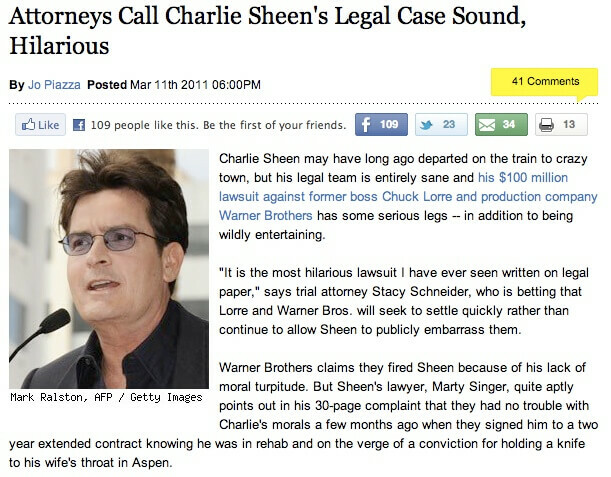 Sheen certainly wasn’t fired for a lack of it — he was fired for turpitude itself. Perhaps we could say he was fired for a surfeit of turpitude. Anyone want to start a band called Surfeit of Turpitude? Gloss over, paper over, and whitewash are all expressions for covering up a problem, insult, etc. rather than addressing it or fixing it. Think of a dirty floor that you just put a pretty rug on top of instead of cleaning. Because gloss is slippery (think of lip gloss), gloss over often has the sense of trying to smoothly and quickly move on to something else. Whitewash, literally, is a substance used to whiten walls, wood, etc. He made a snide remark about short people and then tried to gloss over it when he realized his 5’2 boss had overheard. The journalist accused the government of trying to whitewash the scandal, implying that the officials covered up the incident out of concern for national security rather than to protect themselves. “Origin story” is an expression for a superhero’s backstory — for instance, Superman was born on Krypton just before it was destroyed. Many words also have fascinating origin stories. While English comes largely from Latin (and from Greek, and from Latin through French and Spanish, with some Germanic roots and a bit of Sanskrit, etc. ), you’ll find that word usage can change quite bit over a couple thousand years. A toady is someone who flatters or acts in a servile manner for self-serving reasons. Look at that toady, sucking up and offering to do the boss’s Christmas shopping for his kids. Gross. Lackey, Sycophant, and Myrmidon are synonyms. Fawn means to try to please in a submissive way. Truckle means to act subserviently. 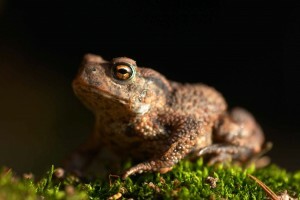 Toady comes from toad-eater, after magicians’ assistants who would supposedly eat poisonous toads so the magician could show off his ability to magically expel the poison. Toadeat used to mean do any degrading thing for your boss, but today you can use toady as a verb (or toady up to someone) for this purpose. 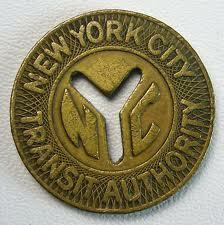 A token can be a sign, symbol, mark, or badge; a souvenir or memento; a coin-like disk used as currency for subways, arcade games, etc. ; or a person, thing, or idea taken to represent an entire group. Tokenism refers to a policy or practice of limited inclusion of members of a minority group, usually creating a false appearance of inclusive practices, intentional or not. 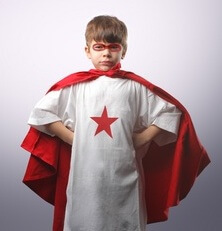 Typical examples in real life and fiction include purposely including a member of a minority race (such as a black character in a mainly white cast, or a woman in a traditionally male universe) into a group. Classically, token characters have some reduced capacity compared to the other characters and may have bland or inoffensive personalities so as to not be accused of stereotyping negative traits. Alternatively, their differences may be overemphasized or made “exotic” and glamorous. By the same token is an expression that means the speaker will then say something based on the same evidence he or she used for what was previously said. I am starting to realize that this law firm hired me to be its token woman. There I am, smiling in all the ads “ but I never actually get to work on important cases. I am giving you this Best Friends Forever necklace as a token of our friendship. The charity did pay me a token amount to speak. I offered to speak for free, but the president gave me a check for a small amount as a measure of respect. As a libertarian, he wants to abolish the IRS. By the same token, he wants drugs legalized. I thought this was pretty excellent. 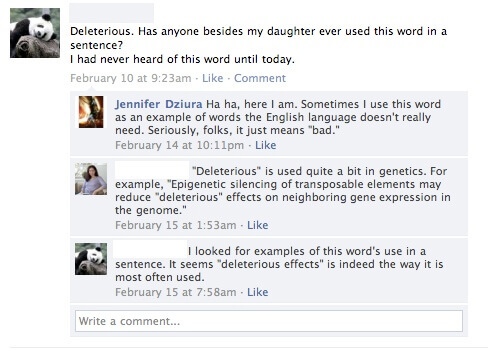 Notice how my mom wasn’t sure about how to use the word, so she “looked up examples of this word’s use in a sentence”? What an excellent strategy! This recent article from the UK’s Daily Mail contained several GRE-appropriate vocabulary words. Plaudits (always plural) means an enthusiastic expression of approval. The word shares a root with applaud, laud, and laudation, and is used similarly to the (also plural) kudos. A common expression is “to gild the lily”, which means “to add unnecessary ornamentation, a special feature, etc., in an attempt to improve something that is already complete, satisfactory, or ideal.” After all, if you’ve already got a beautiful flower, why would you try to gold-plate it? Today I graduated with my masters and also got engaged! It’s the best day of my life! Baking me a celebratory cake would just be gilding the lily. Don’t confuse gild with guild, a medieval trade organization or any organization of people with related interests, goals, etc. Sylph, salamander, undine ( nymph ), gnome were imaginary beings inhabiting the four elements once believed to make up the physical world. All except the gnomes were female. Sylphs dwelt in the air and were light, dainty, and airy beings. Salamanders dwelt in fire: a salamander that lives in the midst of flames (Addison). Undines were water spirits: By marrying a man, an undine could acquire a mortal soul. (They were also called nymphs, though nymphs were ordinarily minor divinities of nature who dwelt in woods, hills, and meadows as well as in waters.) Gnomes were little old men or dwarfs, dwelling in the earth: ugly enough to be king of the gnomes. That’s pretty incredible. I think I’ve seen a few gnome/sylph romances among the rich and famous.